A fellow authority in the field of exercises and fitness. These adjustable dumbbells go from 5 to 52.5 lbs in 2.5 lb increments up to the first 25 lbs. They are sold as a pair. Easily change exercises or resistance. Gradually increase your strength. Versatile workout for legs, back, chest, abs, shoulders and arms. 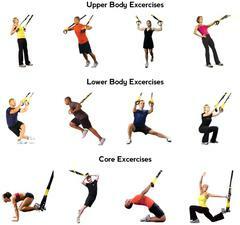 The TRX uses gravity as your resistance, making progression limitless. Stabilizing your body weight with the TRX constantly challenges your core while engaging a broad range of muscle groups - including your heart. 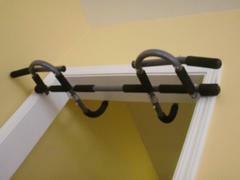 Pull up bar - Perfect Fitness Multi-Gym Doorway Pull Up Bar and Portable Gym System, Original - ideal for pull-ups, chin-ups, and more. Three grip positions, narrow, wide, and neutral. Uses leverage to hold against the doorway. There are no screws and no damage to doors. Jfit Pro Push-up Bar 9" tall - this push-up bar changes the angle and offers a greater range of motion for your push ups and other strength and core exercises. It minimizes the stress on your wrists and elbows, while the foam padded handles give your hands a comfortable grip. Constructed of resilient steel. 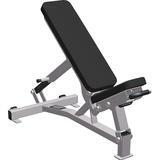 Hammer Strength Multi Adjustable Bench - the bench will enhance your upper and lower body workouts and is perfect for dumbbell and other strength training exercises. With thick, 2 inch padding, the Folding Gym Mat provides comfort and durability to your exercise regimen. 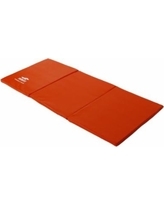 The folding exercise mat is available in 2 sizes. Big enough to lie on and thick enough to jump onto. The folding mat design allows for effortless transport around the house or to the gym, and easy storage in a closet or under the bed. Made of long lasting, 2" thick polyethylene foam with vinyl encasement. 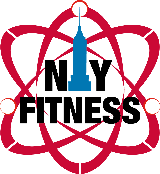 Mat Sizes: 8'L x 4'W x 2" Thick or 6'L x 2'W x 2" thick. 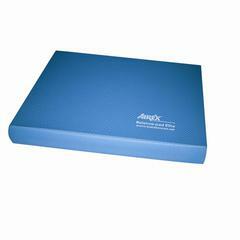 The Avirex Balance Pad helps build strength through improved coordination and joint stability. The pad not only engages your core muscles as they are forced to compensate and maintain balance, but also serves as great cushioning when performing exercises on bony areas. 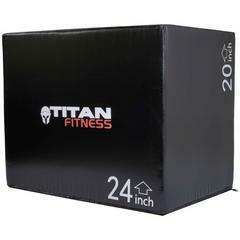 Titan Fitness 3 in 1 20" 24" 30" - mostly used for plyometric jumping. However, it can also be used for a variety of push ups, step ups, stretches, or even as a target for proper squats. TriggerPoint GRID Foam Roller & TriggerPoint GRID STK Handheld Foam Roller are great for Physical Therapy, before or after exercise, massage therapy, and deep tissue massage. 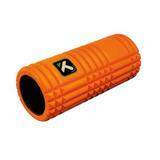 These Rollers help relieve muscle tension and increase muscle reflexology. Great for: balance, postural and muscle re-education, corrective work, spinal stabilization, body awareness and coordination. Applying MyoFascial release provides deep tissue relief for any muscle constrictions or knots you may have. 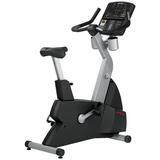 The LifeFitness Club Series Upright Lifecycle Bike is the home version of the most reliable and popular health club model. More than 45 years of innovation have created Lifecycle bikes that are durable, biomechanically sound and effective. It includes a wireless and Lifepulse digital contact heart rate monitoring system (wireless chest strap included). Built with ergonomically designed handlebars with deluxe forearm support. And finally, the ComfortCurve Plus seat, provides upright riding comfort. 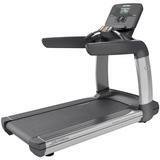 The Life Fitness Club Series Treadmill is a durable workhorse found in clubs around the world. It’s a rugged, fully equipped machine that offers personalized workout programs. 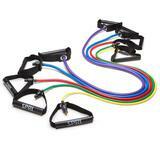 It carries a Polar wireless heart rate monitoring system (wireless chest strap included). The FlexDeck Shock Absorption System enhances comfort and reduces knee and joint stress by up to 30%. A flat screen TV in front of your cardio equipment will allow you to watch something at your pleasure, and help make your cardio workout a pleasant experience. Great way to binge watch your favorite programs too! Having a handful of towels available can make your workout more convenient and comfortable. Placing towels under your elbows while biking, or on top of the treadmill for wiping sweat are the details that can make each workout a rewarding experience. • Flip-top lid with push button operation. • Features flip-up carrying loop and an ergonomic design. • Thermos vacuum insulation offers maximum temperature retention. 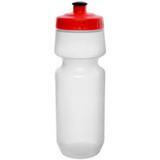 • Keeps liquids cold up to 12 hours. • Durable stainless steel interior and exterior. 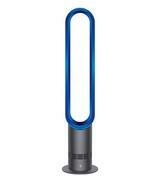 Cool down with a tower fan after and during your workout! Multiple options for speed and functions avaliable.